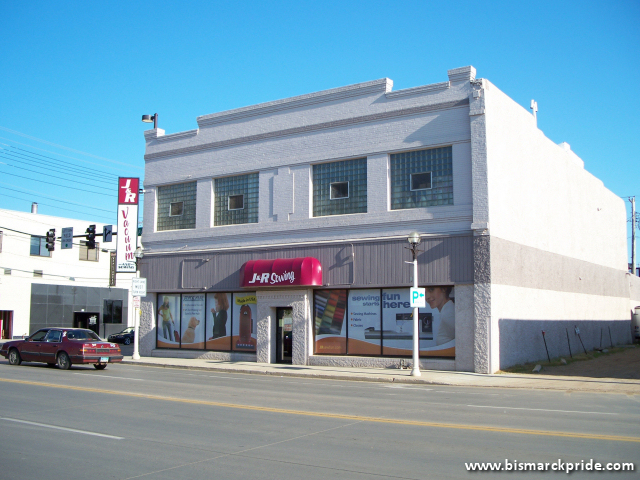 J&R Vacuum and Sewing located at corner of Main Avenue and 3rd Street in downtown Bismarck. Building is one of Bismarck’s oldest remaining, built shortly after the 1898 fire. One source cites that the original brick core of the building dates back to 1877, presumably survived from the fire. For some time, it housed OMF Incorporated. J&R has occupied the building for at least 10+ years after previously being located about two blocks east. The Rock’n 50’s Cafe is a popular spot within Gateway Fashion Mall.